Now that the Russian Collusion Hoax is at an end , the Russian Collusion Movie will keep it going. 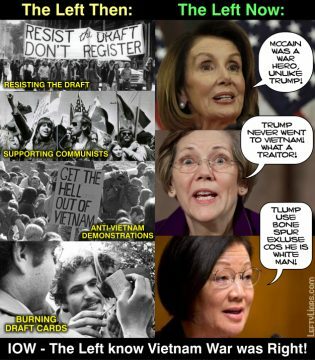 When Lefties make nothingburgers they do not throw them away, even when proven wrong. Watergate is a great example. Loyal President Nixon bent some little rules in his quest to catch traitors during a time of war. The use of bugs was technically against the rules. 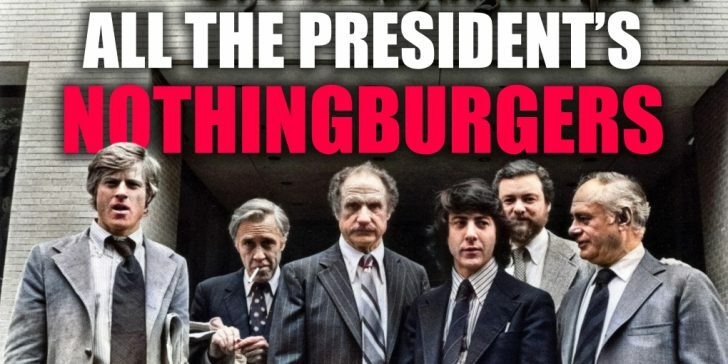 The Left turned that trivial event into a giant nothingburger, painting a great president as “evil incarnate.” They still use the Watergate nothingburger regularly to this day and gasp in disbelief if you dare question their grand myth. Once the media finished their initial hit job on Nixon, they called in their rearguard – Hollywood – to produce “All the President’s Men,” a 1976 thriller flick based on Bernstein and Woodward’s feeble-minded book of the same name. If the book had not convinced hippies that Nixon was Satan himself, the film would. This kind of misinformation goes back a long way. If we start with the Second World War, they created the nothingburger that National Socialist Adolf Hitler was “a right-winger,” and have been flogging that myth ever since, in newspapers, magazines, books, radio, TV, documentaries and movies. 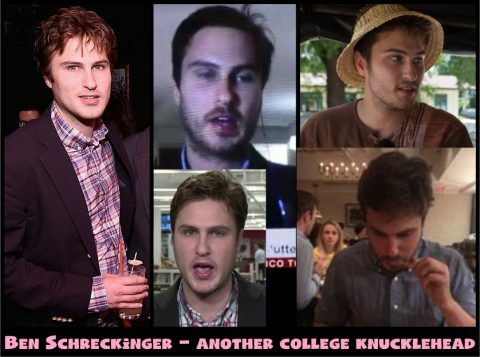 a Weinstein-like Leftist producer to put up the money. a Lefty director, like Oliver Stone to direct. a Lefty scriptwriter like Zachary Sklar to write the script. Lefty actors like Alec Baldwin and Meryl Streep to play roles like Trump and his wife. 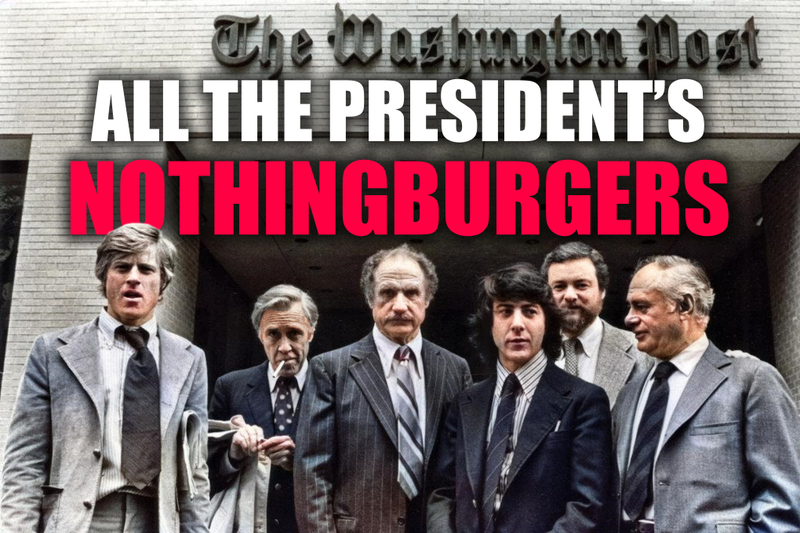 When the Left created their nothingburger movie about Nixon and Watergate, they called it “All the President’s Men,” because had they called it, “Nixon and Watergate” they might have been sued. Trump’s nothingburger movie will probably not include his name either. The Left are usually mindful that telling lies can lead to legal action. It will have an ambiguous title like The Day America Changed. The story will be about Trump, and the writers will use left winged characters to voice accusations, as they did in real life. The actor playing Obama will declare Trump a liar and cheat, saying he cannot be trusted. The Trump character, watching Obama on TV, will look angry as evil sounding, foreboding music rises in volume. The Trump actor will look furious and crush a coke can. Hollywood will use its box of tricks and special effects to make him sound and look guilty. Over time other movies will refer to Trump’s “collusion with Russia,” but in the end, it will all be in vain. Technology will provide us with powerful yet cheap software to destroy Hollywood’s propaganda factory. 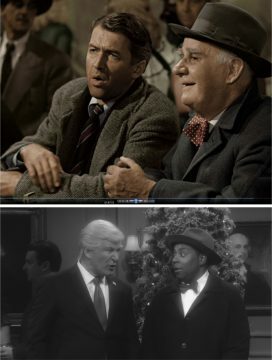 Conservatives will produce quality movies that provide accurate stories about Trump and other issues, to cancel out the Left’s warped version of history. These will flood the internet to put the record straight. The birth of the internet sounded Hollywood’s death knell, but that demise takes decades, not months or years. The reason those movie studios are in Hollywood, to begin with, is for the perfect weather, but the weather is not a factor when creating ultra-realistic animation. Tinseltown and its humbug wizards of Oz will be finished by 2035. The Left will continue making propaganda with computers, but conservative movies will neutralize them. 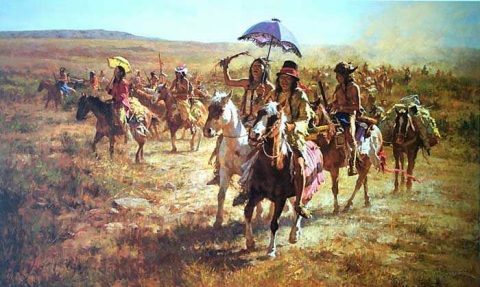 It cannot happen today since the Left run most of the media, including movie critics. When a right winged film is made it is canned by Rotten Tomatoes and most critics, which kills it before it has a chance. The massive cost of production makes the whole effort a considerable risk under those circumstances, so who would invest in it? When software makes it possible to create all the characters digitally at a fraction of the cost, without the need for a huge production team, such movies will populate the internet. When facing such a deluge of conservative films, socialist critics will have little hope of sabotaging them all. Some right winged movies will succeed, and favorite conservative producers will put their name to future productions. The public will learn to ignore Leftist critics and begin to enjoy thousands of historically accurate movies. Great movies about Churchill, Thatcher, Reagan, Lincoln, and Trump will finally emerge, to replace communist misinformation. They will expose Hitler as the left winged socialist he always was, and decry Carter, Clinton, and Obama for all their treacherous behavior. Atlas Shrugged will finally be made into the epic film it deserves to be. Ayn Rand will smile in her grave, in Valhalla, New York, on that day.